Lori Hairston: Last Minute Monkeying Around! My daughter and I were talking yesterday. She told me that she and Paul have been together twelve years and that their first date was on February 13th - a Friday the 13th - to be exact. I didn't realize that it's been 12 years! They are the true high school sweethearts. Valentines are always a big part of my show and store. I always try to have valentines that work for boys. It's kind of a fine line, isn't it? I think this one would work for just about anyone. This is the same set up as the daisy valentine I showed earlier. The lollipop cover on this one is a scalloped circle with the envelope. And, of course, it needs a bag of chocolate hearts! The real star of this project is that adorable monkey postman. He's a cutie, alright! 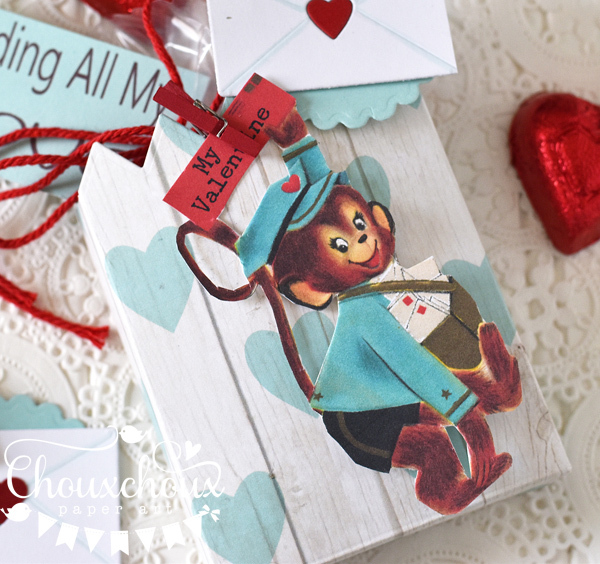 Would you like to download the monkey postman valentine? You can download him HERE. How sweet is this little valentine gift??!! Great work! I don't normally like monkeys but this is adorable! And you're right - this would be great for guys! Thanks for sharing the cute image! I love retro valentines like this - they remind me of my childhood! Enjoy your weekend! LOVE the monkey postman! So cute! happy Valentines Day, Lori! What a cute make Lori - adorable. So cute. I love anything vintage. Golly, this little guy is darling! Such a cute card, Lori! how cute Lori! as always! This is so sweet - love that cheeky monkey! 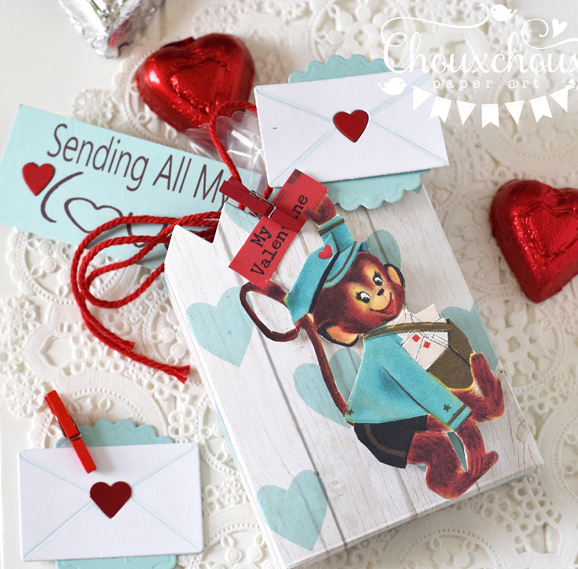 What a darling vintage monkey postman, Lori! Such a cute project! Hope you had a wonderful Valentine's Day! Absolutley adorable, Lori. And thanks for all the great downloads. You are creative, sweet and generous! (and you love chocolate, so you must be truly wonderful). I appreciate all your great inspiration. By the way, you are MOST welcome to stop by any time you can to link up your FABULOUS little projects in my challenges at Word Art Wednesday. 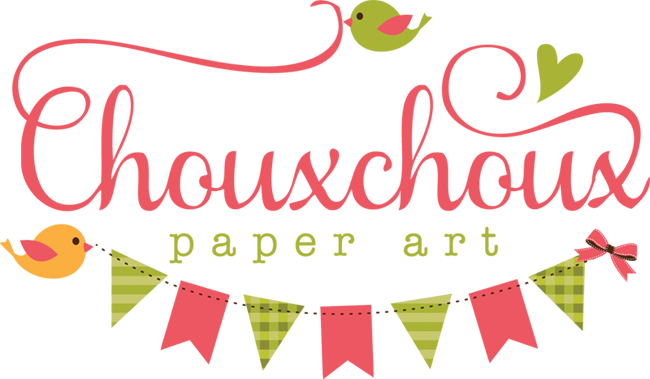 I just love making new blog friends and inviting artists to share their talents for a chance to win some amazing prizes. Tomorrow stats a brand new challenge at Word Art Wednesday sponsored by Simon Says Stamp, and I'd be honored to have you play along. 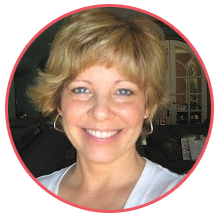 Oh too cute, Lori! Love the blue & red color combo & darling image! Love, love, LOVE...thank you so much, Lori. Your project has me inspired!